Lucky has a Giveaway for your dog! It’s been a week since our first shipment of V-dog arrived! From day one, it was clear that Lucky preferred V-dog to his other up-market brand dog food. Hardly a surprise since most commercial dog food is greasy and smelly. V-dog smells fresh, because it is! He loves the breath bones too (we love them even more, his breath is totally fresh after eating them)! More importantly though, adjustment has been easy and Lucky hasn’t experienced any gastrointestinal upset or problems with the switch! Since V-dog was kind enough to send us 2 five-pound bags of dog food to review, we want to share with you. I was gonna give the second bag to one lucky winner, but what’s the fun in that? I know lots of you want to try it. So, we are breaking up the second bag to send out samples to the first 10 20 comments here that request a sample! If I get more requests than that, we’ll see what we can work out 😉 Requests only for followers of this blog within the U.S. please. Update: I’ve received far more than 20 requests and cannot accept any more. Sorry! Did I mention the bag is compostable? My protein comes from the same place the animals people eat happen to get theirs — plants. Can Your Cat or Dog Be Vegetarian or Vegan? The simple answer is that dogs can do just fine on a carefully balanced vegetarian or vegan diet, while cats cannot. Sure, you can try to work around the whole cats-are-obligate-carnivores thing by supplementing certain synthetic amino acids, but it gets tricky — not to mention dangerous to the cat’s health. So the answer is yes for dogs, but no for cats. The comment that I most often hear after I state that dogs can be fed a vegetarian or vegan diet is that canines do better on a meat-based diet. Again, I’m not going to argue. There aren’t any studies that I’m aware of that have compared longevity and disease occurrence in dogs who’ve been fed meat versus canines on vegetarian diets. Interestingly, one of the world’s oldest dogs, Bramble, who lived to a reported 27 years old in the U.K., was never fed an ounce of meat by her strictly vegan owner. Still not convinced? Check out the ingredient list above. It’s human grade people! by Dr. Armaiti May, D.V.M., C.V.A. For both ethical and health reasons, many vegetarians and vegans choose to feed their companion dogs vegetarian or vegan diets. Up to 50 % of commercial pet food brands are comprised of “meat meal” and “byproducts,” which include various body parts (such as beaks, brain, spinal cord tissue, bones, lungs, intestinal tracts) slaughterhouse wastes, 4-D meat (from dead, dying, diseased or disabled animals), supermarket rejects, as well as rendered dogs and cats from animal shelters. Other contaminants which have been found in commercial pet foods include old restaurant grease containing high concentrations of dangerous free radicals and trans fatty acids; PCBs, heavy metals and other toxins, particularly from fish; bacterial, protozoal, fungal, viral, and prion contaminants, along with their associated endotoxins and mycotoxins; hormone and antibiotic residues; and dangerous preservatives. Many speculate that the increase in incidences of cancers, kidney failure, and other degenerative diseases in our companion animals recently may be due to the harmful ingredients in many commercial meat-based pet foods. This has led people to feed alternative diets. Dogs can be healthy and in fact, thrive on a vegetarian or vegan diet, as long as all necessary nutrient requirements are met. Dogs are biologically omnivorous, but can adapt well to a plant-based diet which meets all their nutritional needs. The final convincing: one of my Facebook friends, Veterinarian Dr. Michael Roth (Veggivet) mentioned to me that he feeds his own dogs V-dog. There are other vegan dog foods on the market, but V-dog is the only fully vegan dog food company. To learn more about their company, please visit their site here. ….and I’ve got no doubts your dog will eat it, love it and thrive on it! 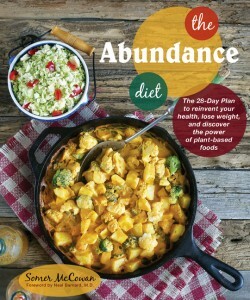 ← Winner of the Happy Herbivore Abroad Giveaway! I’ve gotten my sample 😉 – but wanted to say that even Ikey liked V-Dog! So funny, I would never have imagined having out Schnauzer go vegetarian! But the quality of supermarket brands is definitely not acceptable. I would have him try it though…it is definitely his decision and he may just love V-dog! 🙂 Thank you for sharing! I’m super impressed and so is our Portuguese Water Dog! I think you’re Schnauzer will love it! I’ll be emailing you for your mailing address! We have two dogs: a 12-year-old pointer-terrier mix and a 9-year-old German shorthair pointer. We got both from the local animal shelter. The older dog hasbeen with us for nearly 12 years; the other a little more than a year. They’re great dogs! So shall I send you a double sample? I’ll be emailing you! Thanks Mike! I would love love love to try this with my bichon/toy poodle Charlie. Thanks for the info too. I’ve been wanting to read up on this. I know he eats all of the veggies I drop as I cook, so I think he could do well!!! Julie! Dogs love veggies! I think this’ll make Charlie very happy. I’ll email you to get your mailing address so he can try it out! I have a dog who is allergic to a lot of meats, and I am vegan so this is an interesting idea! I’d love to try it out. It was definitely interesting to me! So glad we made the switch I have a much cleaner conscience about what I’m feeding him! And the fact that he really enjoys it is just awesome! I’ll email you for your address! Totally hoping I can get this stuff for my pooch! I was having serious mental dissonance feeding my dog the very stuff I refuse to spend my money on for myself. Seems to make sense that dogs can be vegan, they’re scavengers and eat whatever they can get their mouths into! 🙂 I’d like to see this sold in the mainstream pet stores. Time to write a letter!! I know, right! I’m not feeding that garbage to my children and my dog is a family member. It didn’t take long for me to figure out this is the best choice! I’ll tell V-dog we want this in stores! In the meantime, help build the demand to get it there! I’ll send you a sample and if your dog likes it, order from V-dog. They have free shipping and their prices are comparable to any holistic or true quality dog food out there! I’ll be emailing you for your mailing address! Woohoo! of course! I’ll email you for your deets! I may be to late for a free sample, but would like to know how to buy this new dog food….thanks! Darn, I think I missed it, lol! No, you’re still in! The first comment was pre-giveaway. She was at my house so I sent her home with some! I’ll email you! me me! i want a sample, or rather chewie would love some. He is already vegan. and some more variety and delicious food always helps. Did I miss it? My bulldog, Punkin, will be so sad? Awesome! She’ll be so happy. Cats can be vegetarian AND vegan too! Evolution Diet makes vegan noms for dogs, cats and ferrets! It’s a big seller at the vegan grocery store here in Seattle! Interesting! Are you wanting to enter the giveaway? Might be too late but what the heck! It would be wonderful if my adopted dogs would adopt vegetarian dog food. I think they would Michael! I’ll count you in! Love golden retrievers! Fox will be pleased! I am interested in having our Sophie try this food. I think Sophie will love it as much as Lucky does! Ali and Mocha would love to try V-dog! Yay! I’d love to have them try it too! Yay!!! Did I make the cut?! Yes, haven’t gotten emails out yet with the Christmas craziness. I’ll get to you, I promise! I have wanted to switch our newly adopted “only supposed to be a foster” dog to V-Dog. I rescued her from thailand where she was going to be eaten, believe it or not 😦 Would we be able to have a sample? Oh my goodness. She has to have a sample. Bless your heart for rescuing her! Awe, look at that mug. Can I have a play date with your dog instead? Ha-Ha! C’mon over, he’d love it. He sits in my lap like a puppy! I know that I am too late but I have been hesitant about purchasing a bag just in case my “pack” doesn’t like it. Looks like I may just have to invest and hope all works out well! I actually think you might be 18 or 19, I’ve lost track! But I’ll email you! Our three dogs have been eating V-Dog, switching from Natural Balance Vegetarian two months ago. Zero problems with the transition and they all love it We love it too, it smells so fresh. Thanks, V-Dog! It does smell so fresh! I’m really glad your dogs love it too! My dog love it and my cat loves to take some as treats! No problem! 🙂 Poor Luke, this may be the answer! Why thank you! We think so too! This is something I’ll be looking into further! Your pup is a sweetheart! Thanks for visiting. Look into it. I’m shocked what goes into most commercial dog food! He really is a sweetheart! We love him! When I read about this the first time I was thinking that our dog would never go for it, but then I remembered that his favourite treats are the leftovers I have after running the roast tomatoes and vegetables through the food mill. He absolutely gobbles the remnants of that up. Your dog looks like he loves it. I just have to say that I totally love your dog, he looks like one cool dude! Do you think this food would meet my geriatric dog’s needs? He’s such a cool dude! Best running companion a girl could ask for. He’s still smiling at mile 10! I absolutely think this would meet your geriatric dog’s needs. It might even prolong his life! I’ll include you! I would love for my dog to try this vegan food. Hoping she likes it (she is one picky Basset Hound). I think it’s good enough to please the pickiest! How can they resist such fresh ingredients? 🙂 Lets give it a go! Whenever our dogs are ill, we make them a “stew” with veggies and brown rice and they love it. I would love to feed them vegan food all of the time and know that they are getting adequate nutrition. Wow, now I am really interested in trying this food. I like Dr.Ward, he is a great speaker if you’ve ever seen him live. I have a golden retriever who is 5 years old this saturday! He seems like a really great guy! I’ve never seen him live, but he was super friendly when I asked if I could share his article. I’ll bet your golden retriever will eat this right up! Would love to try this. Havent bought any meat since I began FOK 8 weeks ago, cant make myself do it…..been wondering about the dogs so this is great! Thanks for being here. Isn’t FOK incredible! I wondered about my dog as soon as I went vegan too. I don’t know what took me so long! I’ll see what we can do to get you a sample! Thanks Thom! I love that I can do this and that Lucky still gets everything he needs. I think trying to cook for him myself and get him all the required nutrients would be too tricky. I would love to try Vdog with my senior Rottweiler Gypsy. I am vegan, my husband has transitioned to vegetarian and is working on vegan. We are trying to be a cruelty free household! I’m over my 20 limit but I’m going to order the big bag, so I think I can still help you out! How do I get a sample, please?! Ok Thank you! So looking forward to sharing this with my beloved senior! Done and done. I’m totally a weirdo, nibbled on the breath bone. Couldn’t really bite it because it’s made tough for dogs but could taste the cinnamon and minty-ness. They rule! I just saw this ad for the first time in Veg News Magazine and thought of you – Yay for Lucky and his first giveaway! Woohoo! I really hope the company takes off. I would love to see the product in stores, though the online ordering is super simple! Can’t wait for my Bailey to try this. I would love to try this. I am vegan and have really been considering switching my two big dogs over to a 100% vegan diet, but never knew where to get the food. This company sounds amazing! I would love a sample of V-dog! I would love to feed my 2 dogs the same vegan diet we eat, but due to a string of circumstances are getting our food from the food bank (which is far from organic, vegan, or gluten free and our health is suffering) and get whatever dogfood we can get cheapest. Needless to say, my german shepherds are not eating healthy either. I am vegan and it just makes sense to switch my beloved Schnauzer to a more ethical diet, and hopefully it will help with Hus skin conditions! His diet I mean and we would love a sample! Hey Somer! Though our foster doggie, Seymour, found another family home, we still have the bag of vegan dog food — for the next time, just in case. Thanks for sharing your vet’s advice. People need to be persuaded to ask the right questions of their doctors (pet and human) and not just “go with the flow” because “that’s the way it is.” Pshaw. I have never heard of this brand and will order a sample. I have two small dogs and feel guilty buying regular dog food for them knowing that I am contributing to the killing and torture of animals even though I don’t eat meat. I don’t know if I will ever put them on a 100% vegan diet but I am willing to try to see how they do on a plant-based meal plan for a few months. I’m not doing samples anymore since I had more than 20 readers comment and ask for one, but I highly recommend this brand. Go to http://www.v-dog.com and check them out. I think your dog will love it! Just wondering when samples would be sent out? You emailed for my address 12-21. NOT rushing you, just trying to get an idea of when to be looking for it. Thanks again SO much!! Yes, I just received your email! Please…. no apologies needed from someone who’s doing us such a wonderful favor. My dogs and I look forward to the sample, and they will gladly share for the opportunity to try it. Thanks again and have a wonderful weekend! I still feed my dog v-dog. He has done really well on it! I know this is an old post but your cute dog caught my eye! We also have a Portuguese Water Dog that eats V-Dog, it is nice to see another one!